What you might not know about the Disney television you enjoyed in the late 80s and early 90s, is that much of the work came from a studio in Australia. 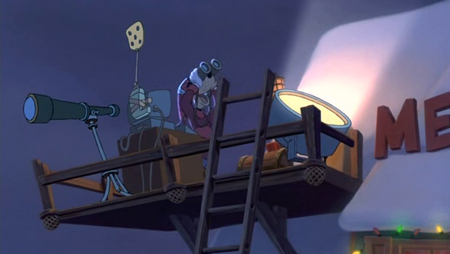 Writing, pre-production and storyboarding occurred in Burbank, but the heavy animated lifting went out overseas. 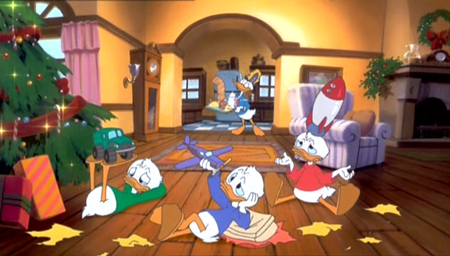 Eventually, the Australian studio became known as DisneyToon Studios, who produced theatrical films like DuckTales: The Treasure of the Lost Lamp and A Goofy Movie and other entertainment based on Disney’s popular TV shows. 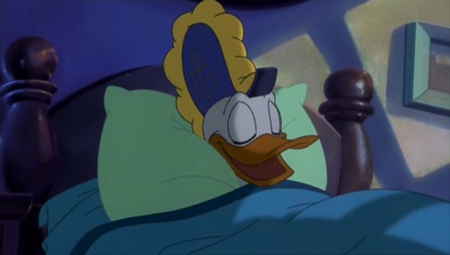 More notably, however, the studio began ramping up direct-to-video sequels to Disney’s feature-length classics, starting in 1994 with Aladdin: The Return of Jafar. 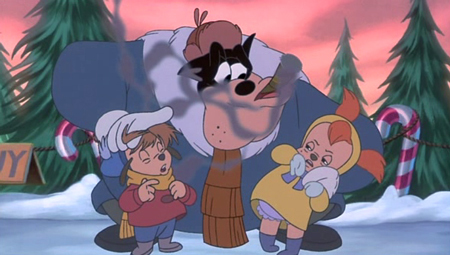 These largely forgettable sequels became big business for kids and families. Yet even as the money rolled in, longtime Disney fans began referring to them as “cheapquels,” and as an otherwise disgrace to the proud legacy of the original films. While the animation budgets on these sequels improved considerably, the writing did not, nor did the prevailing attitudes toward the studio’s output just as unnecessary pap like Jungle Book II and Cinderella III were hitting retail shelves. Due to the mounting costs of the productions, the public’s growing distaste for the product, and John Lasseter/Pixar’s growing creative influence over the company at large, Disneytoon Studios was shut down in 2006 and has since become a wing of Disney’s commercial product division, producing only direct-to-DVD Tinkerbell films. Man, did I wander into this one like a member of the bomb squad. 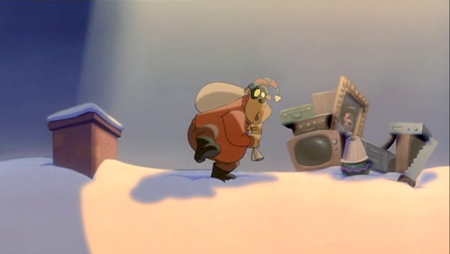 All those rotten memories of some of the worst sequels heartlessly cranked out by Disney’s straight-to-video division, had me approaching Mickey’s Once Upon a Christmas through crooked fingers as if I where diffusing a bomb about to go off in my face. But my fears were a little unfounded. I mean, making sequels to Bambi and Cinderella reeks of a company desperate for ideas. And with none to be had, clearly these animators were more than willing to tarnish the legacies of people too deceased to complain. Obviously, I was overjoyed when the Pixar folks put a stop to the (extremely profitable) practice once they took over revitalizing the company. 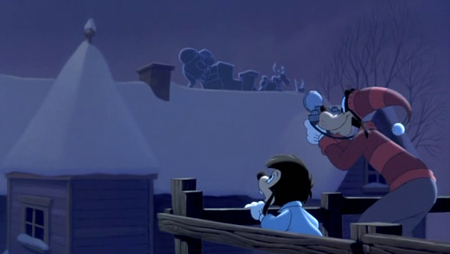 However, Mickey’s Once Upon a Christmas doesn’t feel as guilty of the desecration many see in other films from DisneyToon Studios. For one, it’s a anthology of three short Christmas films, so they’re isolated adventures that needn’t play with established canon. 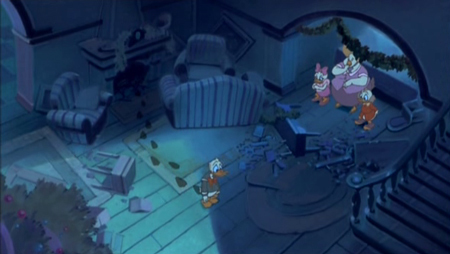 Oh, and they just so happen to star Mickey, Donald and Goofy, characters unbelievably apt to tearing up the screen for twenty straight minutes. Rodents at the end of their rope! 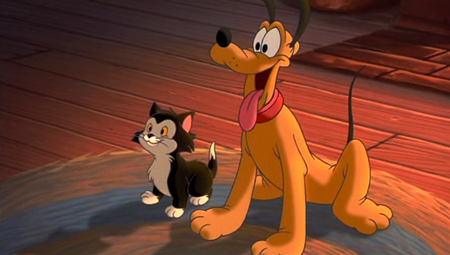 Further to its credit, the animation is well above par, especially when compared to company’s television output. 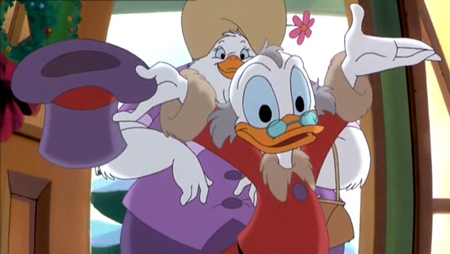 And even better still, I love how all three tales utilize characters established in later Disney offerings (most notably The Disney Afternoon) while retaining a classic look and feel. 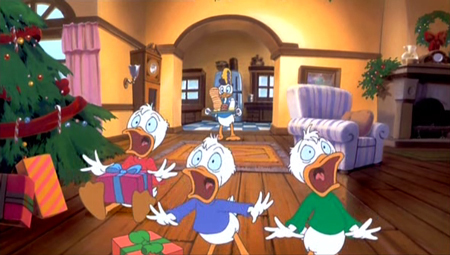 Immediately following the opening narration from Kelsey Grammer, we’re whisked into the Duck’s home, to see an incredibly familiar trio of nephews. 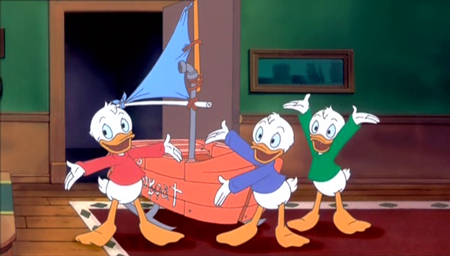 I say that because Huey, Dewey and Louie sound exactly like they do in DuckTales, although they’re apparently in the care of Uncle Donald. Dreams of the Sea. The dude was a sailor, ya know? And I just gotta say, I was spellbound to see the boys interact with Chip & Dale. Not sure if this duo has ever interacted with the nephews before? 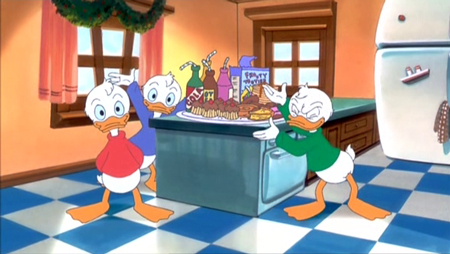 The boys have a rather selfish take on Christmas, not unlike you probably did when you were a horrible little child. 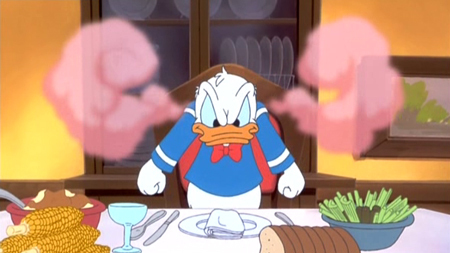 They essentially make life hell for everyone around them in the name of “gettin’ theirs” on this most festive day. 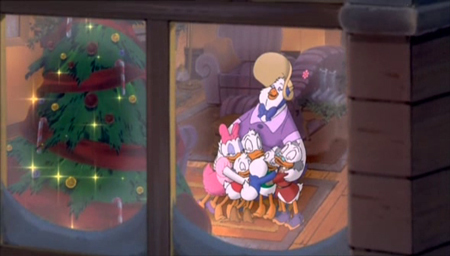 Uncle Scrooge drops by and he’s familiarly voiced by Alan Young, just like in DuckTales and Mickey’s Christmas Carol! Sure enough, the boys get to relive Christmas again. And then again. Obviously, it all seems pretty great at first… That is, until they realize that essentially they’re eating, doing and receiving the same crap every day. I figured they’d cop out and have the boys realize their selfishness by the end of the first or second Christmas day. But no! I love that it’s implied that they relive the same day over and over again many, many times, almost to a tortuous extent. More frighteningly, the boys have no idea how to reverse their wish and earn back the Christmas 26th, thus learning the true meaning of Boxing Day. But then they stumble upon an epiphany: What if we don’t act like dicks? Even once the tired of unwrapping their gifts and chowing on Christmas turkey, they still just acted like mischievous time manipulators who used their knowledge of the day for their own entertainment. 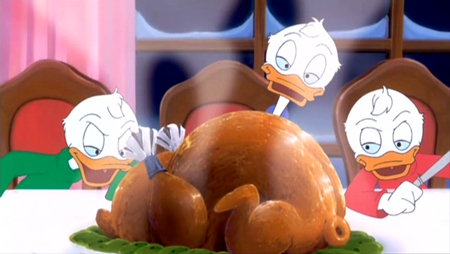 The boys bust their asses to make everyone else happy for the Holidays. And wouldn’t you know it? It works. 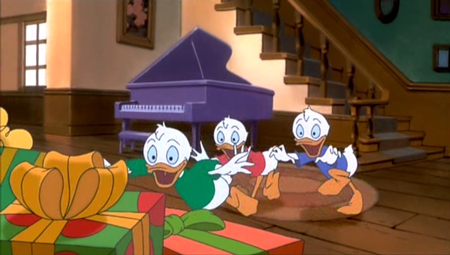 Frasier congratulates the young duck trio and brings us into the next special. 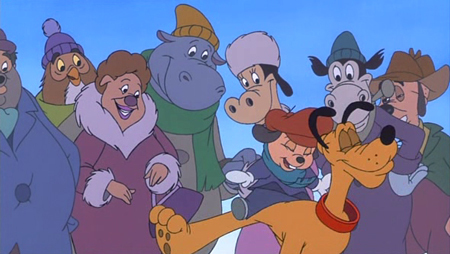 “A Very Goofy Christmas,” although it’s a little more depressing than the name let’s on. 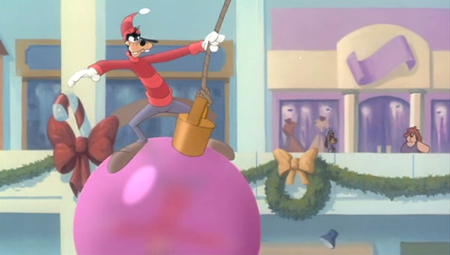 Man, the Goofys do the Holiday up right! 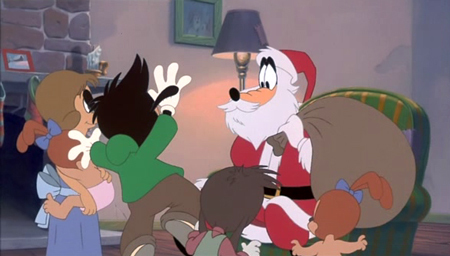 Yeah, it begins with an action-comedy sequence involving Goofy and Max getting their letter to a fleeing mail truck, the audience is in for a far more devastating bit of Christmas coal. 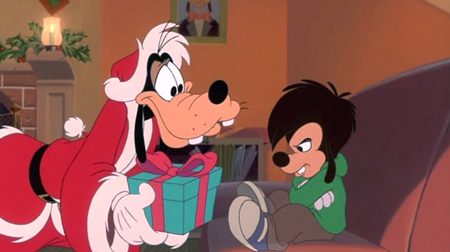 Pete, for reasons that should get an adult arrested, or at least fined significantly, decides to tell Max that there ain’t no Santa! I have no idea why Pete’s brown here? This callous adult/cat creature cruelly explains the impossibility of a fat dude delivering presents to billions of homes in a single night. And yeah, it gets to Max. Max researches the logistics and determines Santa, more than likely, does not, and he proceeds to bring down everyone around him. Who the hell are these people?! Err – dogs? 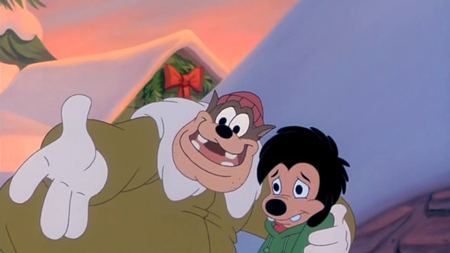 Unfortunately, Papa Goof’s disguise is revealed, and Max interprets his dad to be maintaining an outright lie. 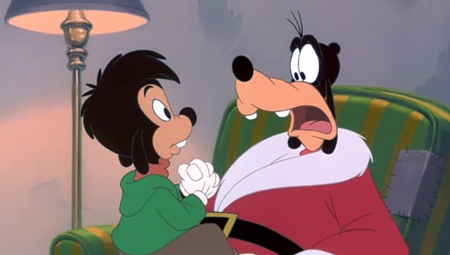 You know… As much as I love Goofy as the character from his heday, I also greatly enjoyed his speechless role as an instructional guide after the Disney studio lost the voice actor in the 40s. 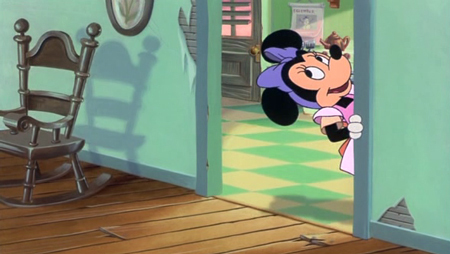 Althoug unlike Mickey, I think he does fine job performing in his latter day, domestic situations too. He’s still the invincible, kinetic moron we he needs to be, so he can still make us smile using his standard shtick. 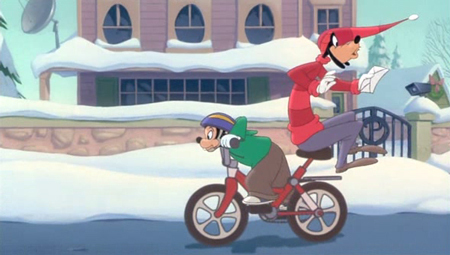 (Plus, there’s just something about the act of Goofy procreating that makes me giggle just thinking about it.) 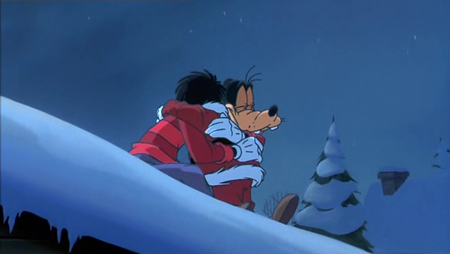 That said, the scenes between Goofy and Max are also some of the more touching in the the entire film. Gotta be St. Nick, right? 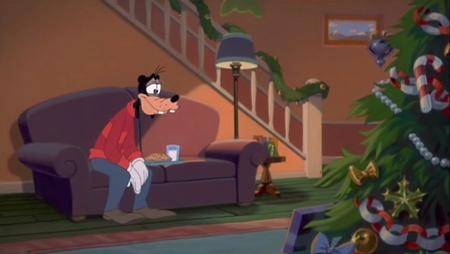 The resulting burglar situation has Goofy quite possibly the saddest I’ve ever seen him. Luckily, it lights a fire under Max over how important just finding something to believe in can really be. 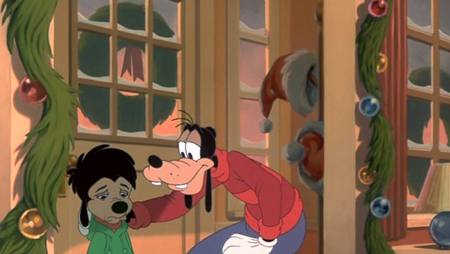 Max dons the suit to pull his father out of his morose state, and well, he’s not that bright so it works for a while. 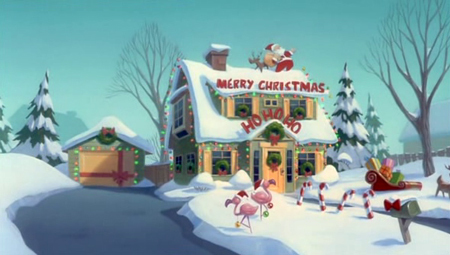 The façade is revealed after Goofy chases his Santa son on the roof. Max is unmasked, but both manage to turn it into inspiration to embrace, since upon some introspection, all they really wanted for Christmas anyway is one another’s happiness. But hey, why not a little Christmas miracle with your revelation?! 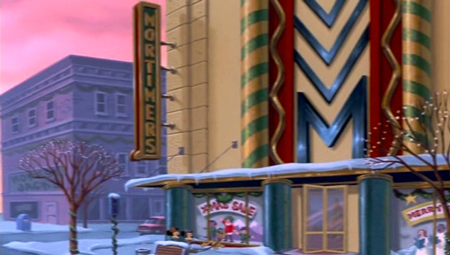 And even though Max gets the snowboard he desperately desired, the first thing he does is take it down the street to let the poor kids get the first ride. Very nice indeed. 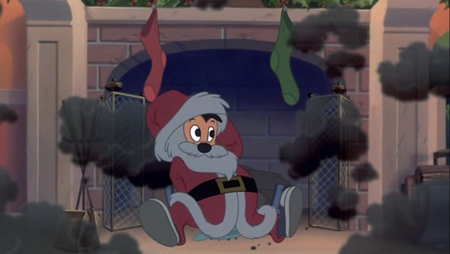 I can’t tell if “Gift of the Magi” is the weakest of the three shorts, or my favorite of the three shorts. What I can tell you is what I do like about it. 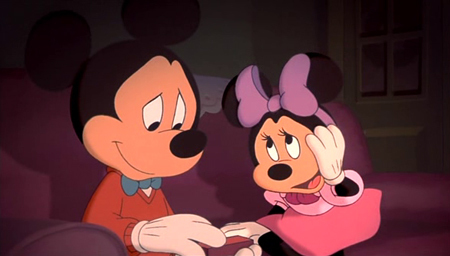 Mickey and Minnie are dirt poor, and that reminds me of the days before he was a sterile corporate spokesman, back before he didn’t just act as a father figure to more interesting animated characters, and was someone things could actually happen to, and in turn, make things happen. But on the flipside, while I personally dug a lot of the other stuff, a lot of the details are fairly derivative of several superior specials that came before.Okay, Mickey and Minnie are hard up to buy gifts for one another, with Mickey wanting to buy a gold necklace for Minnie’s heirloom watch, and Minnie wanting to Mick a case for his prized harmonica. 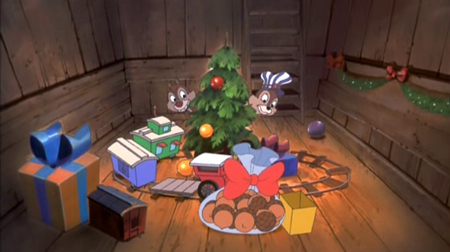 A Christmas harmonica, last seen in A Chipmunks Christmas, almost two decades before. 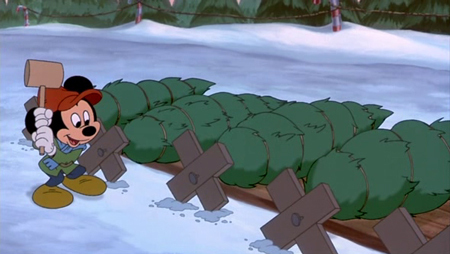 Mickey busts his hump to put together the money working at Crazy Pete’s tree farm, but ends up blowing his tips on a tree for a poor family. Back in Black. And Smoking! 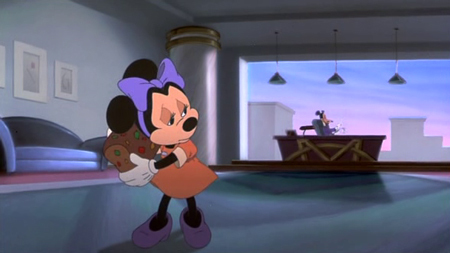 Minnie has her struggles to deal with too. 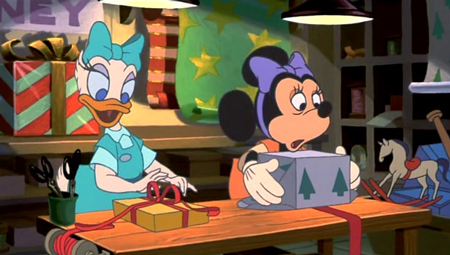 Working as a gift wrapper at a department store, not unlike Donald in “The Clock Watcher,” she’s depending solely on her Christmas bonus to get here through the Holidays. 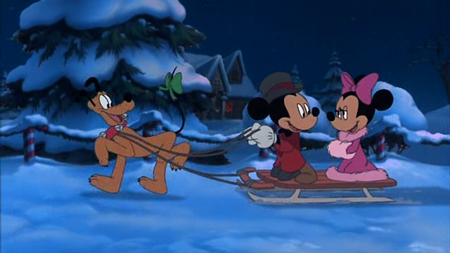 So with Mickey and Minnie even more destitute than at the start, what are they to do? 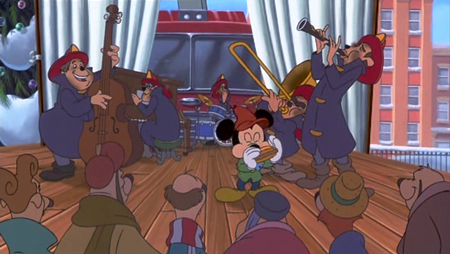 Well for some reason, Mickey gets sucked into performing for a firefighter charity, but in spite of being a fairly heartwarming sequence, it doesn’t benefit him in any way so it feels a little tacked-on. 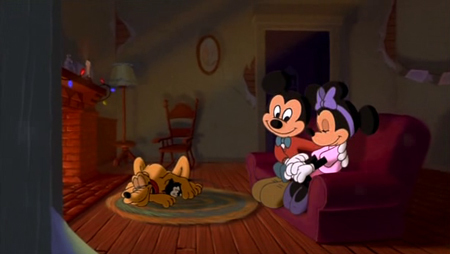 What it does do is convince Mickey to do something that rang more than a little Emmet Otter’s Jug-Band Christmas to me. 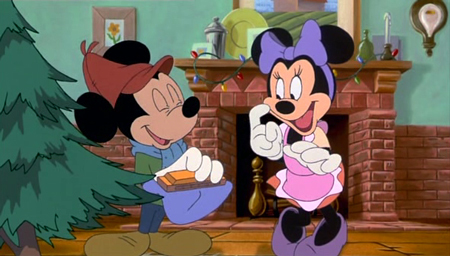 Once Christmas rolls around we find that Mickey and Minnie have, in fact, made their Christmas wishes come true: A harmonica case for Mickey and a gold Necklace for Minne. However, the both had to sell precisely the item each gift was intended for. 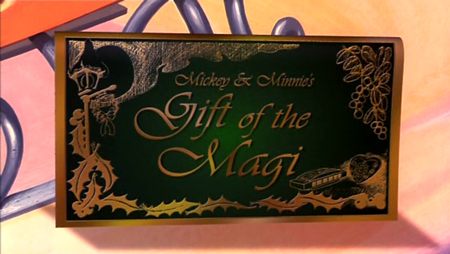 But I’ll give the “Gift of the Magi” this much credit: Unlike most Christmas specials, it closes with ZERO material gain at the end. Yeah, usually people learn the “true meaning of Christmas,” but then they’re generally rewarded with the very things they’ve originally sought after as a consolation prize. That doesn’t happen here, it just fades. And that’s, once again, nice. But it ain’t over! 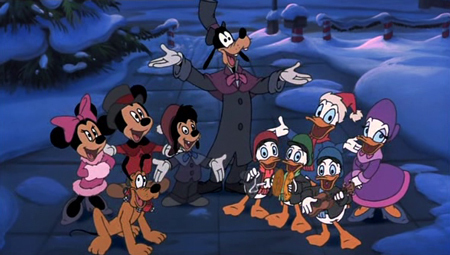 The whole Disney game comes back out in Dickensian garb for a Holiday medley. And as much as I’d like to say that’s not enough to do it for me, it usually is. Nothing other than an illuminated star, which twinkled in such as fashion that lead me to believe it was either a cross, or at least a reference to a certain heavenly body from a certain nativity story. Didn’t expect to like this one at all, so obviously, I was surprised by how much I did. 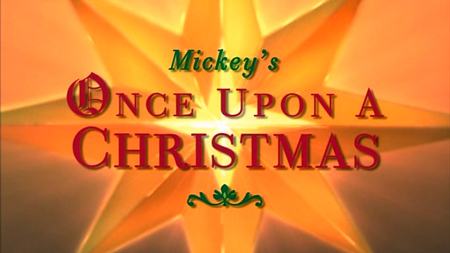 Mickey’s Once Upon a Christmas is so well done, I’m a bit shocked this doesn’t get more play around the Holidays. Although, if I were to guess, that’s probably how they were intended to air: On television, since all three are roughly twenty minutes and leave ample time for commercials. Even if I’m totally off base, it’s a wonder these aren’t actually played on TV in three separate showings now that I think about it. Come to think, that’s how I would’ve preferred to view them… And I could of gotten three days worth of articles out of it! Damn you, Disney! 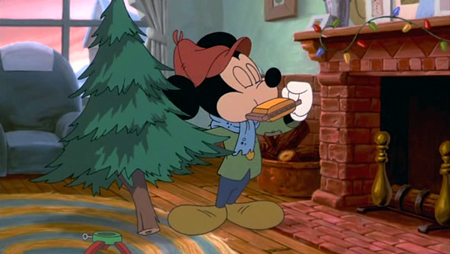 Looking through even Disney’s direct-to-DVD product that’s gone out-of-print, it’s almost miraculous Mickey’s Once Upon a Christmas is still available, but it is, and on the cheap no less. 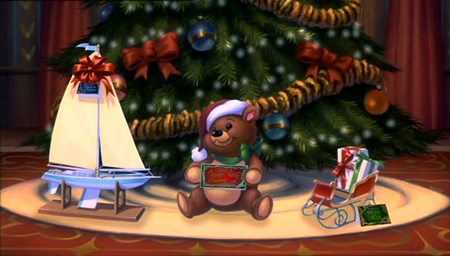 The 2004 sequel, Mickey’s Twice Upon a Christmas is also available, although I can’t speak to its quality. 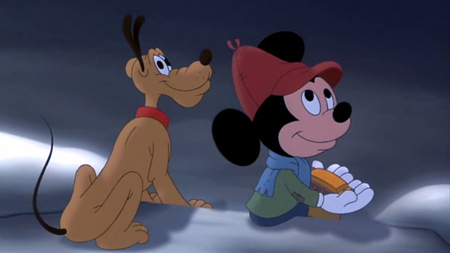 As always, I have to recommend the Disney Animation Collection 7, as it contains timeless Christmas classics like Mickey’s Christmas Carol and Pluto’s Christmas Tree among other shorts. 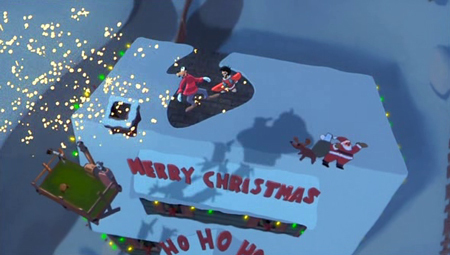 Community Christmas Special is f***ing amazing! I had no idea that disney had a Australian studio. I never likec max or the movie he did with goofy but I will check this out for the micky episode thanks Chris for this site it looks top notch. Holy crap, thanks for reminding of this. We owned this on VHS and I would watch it all the time. I may go dig it out and have another go. So Minnie sold her neck then? ?